Pasteurized canned crab meat and black bean and corn salsa were among the foods that the U.S. Food and Drug Administration (FDA) was concerned about this month. FDA sent a warning letter on May 5, 2016, to the Empire Crab Company in Philadelphia because the agency found that its pasteurized canned crab meat was adulterated, and the agency also sent a warning letter on May 3, 2016, to the House of Webster Inc. in Muskogee, OK, for the same reason regarding that company’s black bean and corn salsa. Empire Crab, located at 3120 S. Galloway in Philadelphia, was the target of an FDA inspection in mid-March and was found at that time to be in violation of the seafood Hazard Analysis and Critical Control Point (HACCP) regulations, the agency stated. 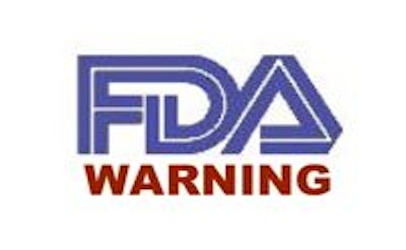 The FDA warning letter to Empire Crab contains numerous specific recommendations to bring the company into compliance with federal regulations. Critical control points, monitoring, verification and records were among the areas where Empire Crab needs to take corrective actions, according to the warning letter. FDA had made some of the same recommendations following previous inspections in March 2011 and July 2015, the letter indicated. The House of Webster’s facility, located at 1013 N. Second St. in Rogers, AR, was targeted for inspection last December and was found in violation of the regulations for acidified foods at that time, the letter noted. The Arkansas facility has failed to process each of its acidified foods in conformity with “at least the scheduled process …,” FDA stated. FDA expressed concern about Webster’s black bean and corn salsa regarding whether the temperature and hold processes would control maximum equilibrium pH for the product. The letter also noted the lack of records for holding and filling times. The agency indicated concern in the warning letter about the adequacy of certain instruments for “measuring conditions that control or prevent the growth of microorganisms.” In addition, FDA found mold growth on the drums of reworked food products and on pallets used to hold food and some misbranding problems with various Webster products.